As people get busier, sleep deprivation is a possibility. World Sleep Day statistics found that over 45 % of the world’s population is experiencing sleep deprivation, and their health is being compromised because of it. Ironically, those who sacrifice sleep for their jobs actually end up losing more work days. For example, an average worker in the United States decreases productivity equivalent to 11.3 days of work in a year due to sleeplessness. Consequently, they earn $2,280 (₹146,000) less. If you prefer to give up sleep over work, your career progress may be hindered. Professor of sleep medicine Dr. Paul Gringras told Leesa that sleep gets you ahead at work because it increases both your productivity and creativity. He cited a recent study that saw people who developed insomnia found it more difficult to focus compared to those who slept well. This is corroborated by another research done by Haifa University, which found that creative people were most active after a good night’s sleep. It’s through these benefits and more that sleep can be considered vital for a career-oriented person. The Harvard Medical School conducted an experiment involving insomniac patients who were taught basic yoga. They were instructed to practice for eight straight weeks. After that time period, the researchers collected the patients’ sleep diaries and saw consistent patterns of improvement. Some of them included how many times they woke up, length of time between waking, and their total time asleep. With their improved sleep quality thanks to yoga, the patients were able to relax more. Mahi Yoga recommends doing yoga to calm your nervous system, which is usually the most disrupted bodily system when you’re stressed. Some poses require breathing lapses that improve blood flow to the area in your brain responsible for sleep, correcting your sleep cycle in the process. 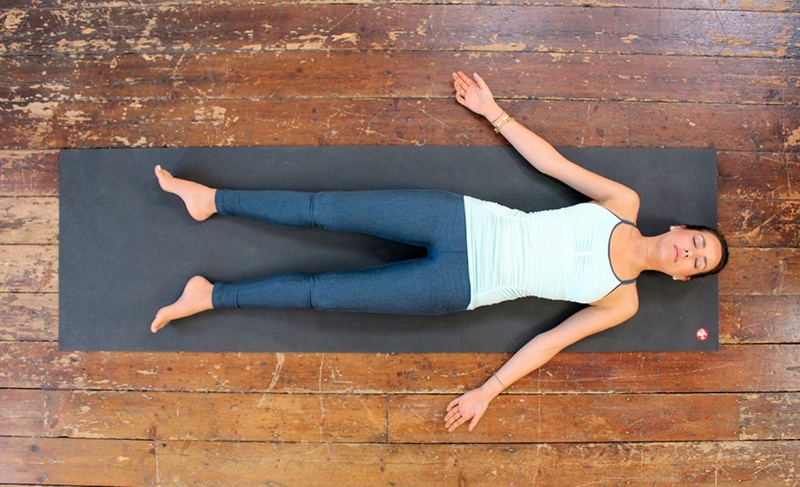 A good example is the Savasana where you lie on a straight surface, which induces sleep even more by putting your body in a relaxing position. Sleep deprivation may also arise when the mind and body is involved in too much activity. Athletic recovery specialist Jason Papalio states that yoga slows you down, such as if you’re an athlete always on the go. The exercise relieves excess tension in the mind and body, making it easier for you to fall asleep peacefully. Having difficulties with sleeping every once in a while is normal, but letting the situation get worse can lead to dangerous consequences. Thankfully, there are exercises like yoga which help avoid or mitigate these situations. Best of all, its basics are easy to learn, and the practice can be done anywhere – even in the comforts of your own bedroom.